Only 16 per cent of investors in the Central Provident Fund Investment Scheme (CPFIS) in the year ended Sept 30 last year managed to beat the 2.5 per cent guaranteed rate of interest they would earn otherwise. 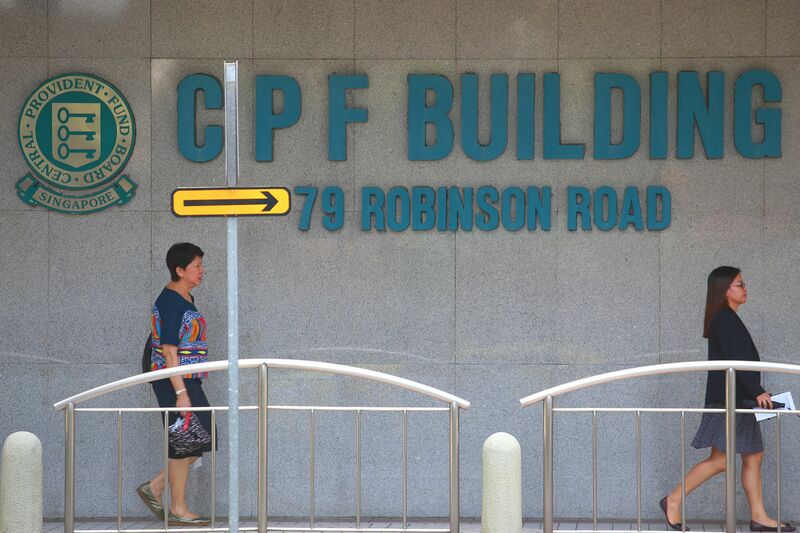 The other 84 per cent of investors either failed to meet the 2.5 per cent guaranteed rate or posted losses, according to CPF statistics. The 12 months were a particularly volatile period for financial markets, with investors having to contend with events such as the huge drawdown in Chinese equities, China's depreciation of the yuan, and the continued collapse of commodity prices - in particular crude oil prices - along with the threat of a Greek exit from the European Union. With much uncertainty and pessimism in financial markets, the Straits Times Index (STI) plunged 14.8 per cent over the same period, while regional markets such as emerging-market equities dropped 12 per cent and Asia ex-Japan equities declined 4.4 per cent. The reasons for the scheme's headline muted performance - apart from the events and poor market performance - are plentiful. They include CPF members not doing sufficient due diligence on their intended investments, speculation in the local stock market, a lack of diversification or over-concentration in their investments, the perennial issue of letting emotions take control of investment decisions, and perhaps overlooking the importance of rebalancing. There is a lack of detailed information regarding how members allocated their CPFIS monies across the permissible investments and how they have done over the long term. Still, it is not inconceivable that the majority of members perhaps focused on individual local stocks which, when combined with the plunge in the local stock market over the 12 months to Sept 30 last year, would surely point to heavy losses for investors. However, even when taking a longer-term view - as one should with investments - the STI's annualised total returns as of end-July this year, of minus 1.82 per cent over the past three years or a slightly better 1.04 per cent over the past five years, would both have resulted in a muted return on the CPFIS monies of members who focused solely on the local stock market. While the local stock market's returns have been moribund, the picture is rosier for members who invested in unit trusts. Thomson Reuters revealed that unit trusts under the CPFIS trusts have posted a three-year average return of 10.59 per cent (or an annualised return of 3.4 per cent) as of the end of the first quarter ended March 31 this year. Apart from diversification of stocks and professional fund managers performing security selection for members, those who utilised unit trusts for their CPFIS likely benefited from having overseas geographical allocations as well. This likely helped to boost the returns on their CPFIS monies, given that indexes such as the MSCI World TR USD representing global equities and the MSCI AC Asia ex-Japan TR USD representing Asia ex-Japan equities posted returns of 34.52 per cent and 9.8 per cent respectively or annualised returns of 10.4 per cent and 3.2 per cent respectively over the past three years. Investors who had diversified into bonds and bond funds would have likewise benefited, with the Citigroup WGBI TR USD representing world government bonds delivering a three-year annualised return of 3.3 per cent. Thus, the financial instruments one utilises to invest CPFIS monies, as well as what and where these instruments provide exposure to, would have played a significant role in determining the returns. While the headline numbers for the profits/losses for investments held under the CPFIS Ordinary Account Scheme might sound pessimistic, members of the CPFIS need not despair. Having a proper asset-allocation plan and giving time for the investments to work out in the medium to long term, as well as appropriate product and security selection, would be the building blocks for investors seeking to start utilising their CPFIS monies. The employment of such a process has seen some heartening results at fundsupermart.com. A quick glance at the returns of our investors who are invested in CPFIS Ordinary Account-approved funds reveals that over 55 per cent of our members are holding onto positive returns, with 43 per cent of all members that use the platform posting returns that beat the 2.5 per cent guaranteed interest rate floor. In addition to the above, investors need to recognise the alignment of the long-term nature of investing with that of retirement planning and develop the ability to ignore some of the short-term volatility and market fluctuations, factors which fit the CPFIS structure well. With an eye on the long term, investors would be remiss not to conduct rebalancing on an annual basis at the very least to take profits on investments that have done well and reallocate said profits to segments that have not, in order to keep their asset allocation weights relevant and their retirement nest egg growth on track.